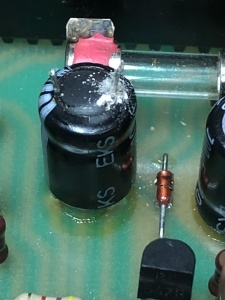 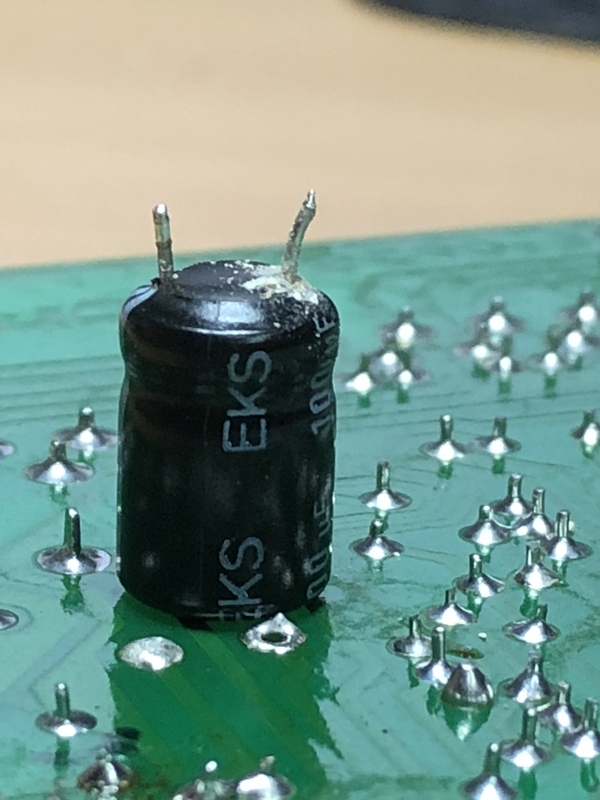 Replaced two 100uF Caps on the Trumatic E-4000 controller board, one of them has started to leak. 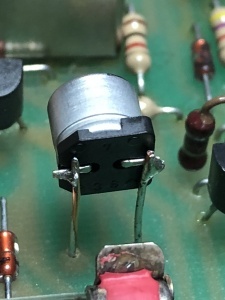 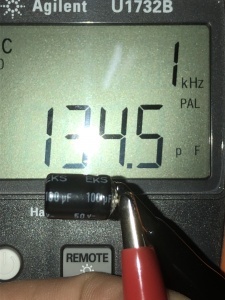 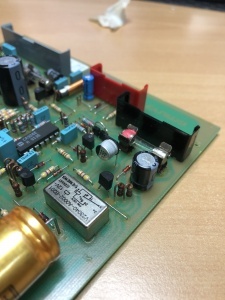 The meassurement with the LCR Meter shows that the capacitor is damaged. 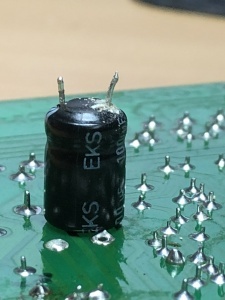 The shown SMD Cap is for testing only, and will be replaced as soon as DHL deliveres my order.